Let’s be honest: you may have come to Reykjavik to see those elusive Northern Lights or soak in the Blue Lagoon, but what’s a trip to this Scandinavian capital city without a cocktail or two? Well, you’re in luck: after spending some time in Iceland’s largest city, we’ve got the lowdown on what Reykjavik bars you need to visit. Kaldi Bar, which opened in 2012, features several Kaldi beers alongside liquor and other brews. 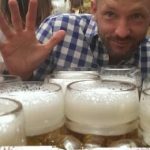 Bruggsmidjan Kaldi — where Kaldi beer is made using Czech brewing methods — traces its origins to 2003 when a fisherman living in northern Iceland suffered a knee injury that rendered him unable to continue fishing. 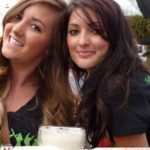 His wife saw a report about a Danish microbrewery on the evening news one night, and voilà! Their dream of opening their own Icelandic microbrewery became a reality when Bruggsmidjan Kaldi opened its doors in 2006. Kaldi Bar also holds the distinction of being my all-time favorite on the list of Reykjavik bars. Why? 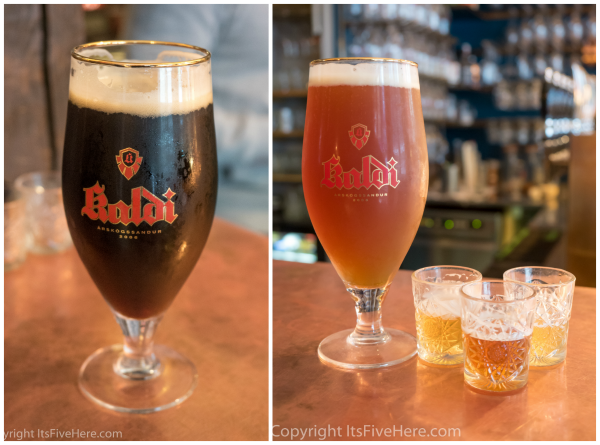 We received the best hospitality here of any of the Reykjavik bars we visited in Iceland’s capital city. 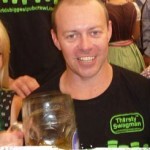 Georg took the time to listen to our preferences and was adept at finding beers we liked. Plus, he got us to try some brews outside of our comfort zone (sunflower flavors, anyone?). The clientele in the bar were like-minded beer aficionados, adding to the sense of camaraderie as we chatted about what we were all tasting. If you’re a beer connoisseur and can only hit up one of these Reykjavik bars, this should be it. Though Apotek is a restaurant serving up delicious small plates and main courses — like sea trout on a Himalayan salt block or char-grilled beef tenderloin — you absolutely can’t miss having a drink in Apotek’s cozy lounge. Apotek serves arguably the best cocktails in any of the Reykjavik bars, with creative concoctions like the “Dillagin” (Dill-infused gin, mango liqueur, lime juice, sugar, and bitters) and “Rodaberg” (G-wine gin, elderflower liqueur, pink grapefruit juice, lime juice, sugar, strawberry puree, egg white, thyme). And since we all know that Reykjavik is expensive AF, Apotek’s happy hour will ease the strain on your wallet considerably: all artisan cocktails, beer, and house wine by the glass are half price from 3 PM to 6 PM every day. Yep, weekends are included, so no excuses not to get yourself over there while you’re in town. After a long day of exploring Iceland’s Golden Circle via tour bus, you’ll probably work up quite an appetite chasing waterfalls and geysers. If you’re craving familiar comfort food, Lebowski Bar has got you covered: their juicy, succulent burgers are on point. Oh, what a burger. But even more, what a freakin’ cool bar. You’ve got to love a theme bar that goes all in, and Lebowski Bar truly delivers on this front. You’ll feel like you went through a time warp and somehow wound up on the set of the Coen brothers’ 1998 cult film during an acid trip. 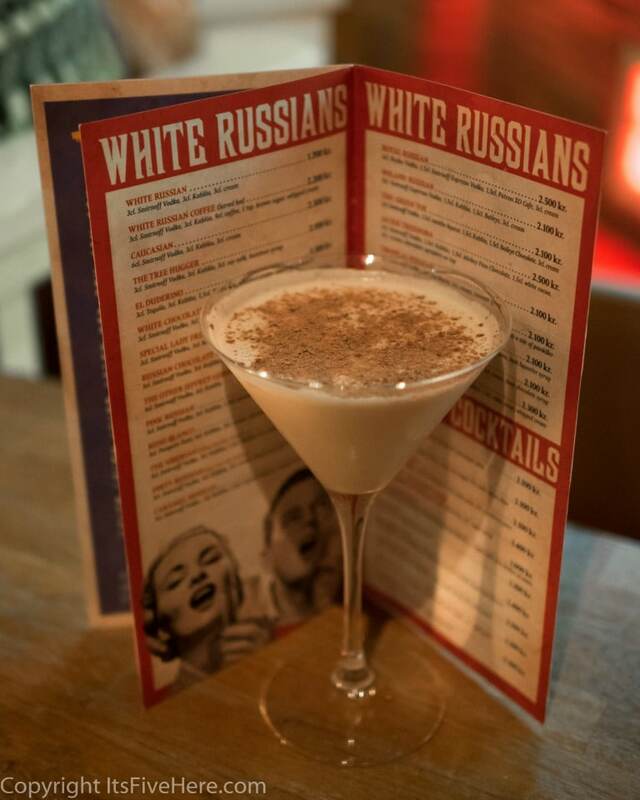 A page and a half of various White Russians on their menu? A jukebox and retro kitsch decor? Slippbarinn, meaning “Shipyard Bar,” is actually Reykjavik’s first cocktail bar. Their cocktail menu changes frequently; the current iteration is called “Slippbarinn does Singles!” We’re partial to the “Digital Love” cocktail — featuring gin, sweet vermouth, rosehip, and cherry tonic — as well as the old favorite “Ginger Gets Honeys,” which consists of Bulleit bourbon, lemon, ginger, honey, and mint. Don’t expect drunken college students here; this is a classy joint by the harbor, after all. Still, Slippbarinn doesn’t feel stuffy or uptight — the bar, which is located inside the Icelandair Hotel Reykjavik Marina, has great live jazz and DJs spinning some tunes throughout the week. Some folks might be surprised to see Matarkjallarinn on this list — as its English name implies, this spot is actually a restaurant. But it’s actually one that’s serving up food on par with fancypants restaurants in New York City. Think slow-cooked cod with green asparagus, smoked lamb, and langoustine hollandaise; crispy pork belly with red cabbage, wild mushrooms, and celeriac; or a scrumptious chocolate dessert with raspberries and hot salted caramel sauce. Not only will your meal be memorable, but surprisingly, so will the cocktails. Try some drinks from their “Competition Cocktails” list, as these are bonafide award winners. Our favorite is “Angelica’s Tradition,” which includes bourbon, angelica syrup, and Bittermens El Tiki. Feeling more adventurous? Try the “Black Frog” cocktail. Though it features brennivín, an Icelandic liquor that tastes like licorice, the drink is well balanced (and won’t have you on the floor by the end of the night). 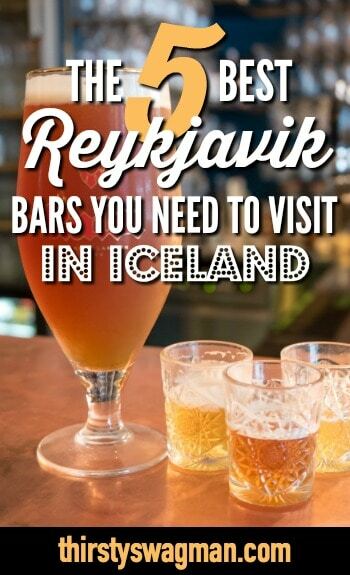 Are there additional Reykjavik bars worthy of your precious time? Of course there are, but we have to keep some of them a secret. If you’re thirsty for more, check out our Nordic Rock tour that explores some of the best places to party in the North, including Copenhagen, Hamburg, and Reykjavik!